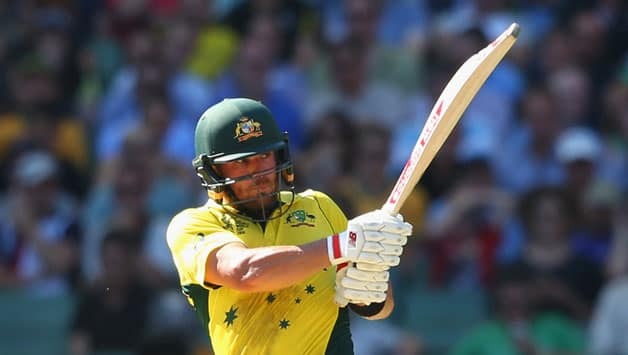 Australia’s swashbuckling opener Aaron Finch is likely to put his hand up to be Australia’s next limited-overs captain but admits he’s given no thought to potentially taking on the job in the aftermath of the Cape Town ball-tampering episode. As the ICC World Cup looms ahead next year in England, the Australian team is without a captain. Meanwhile, it is likely to get final when they announce the squad for the limited-overs tour of the United Kingdom (UK), early next month. Previously, Finch has filled in as ODI skipper as well as leading the T20 side between 2014 and 2016. He is likely the most qualified candidate to be at the helm of the team. Other contenders could include Mitchell Marsh, Travis Head and Peter Handscomb – all three are current captains of their state sides. Finch, who is currently in India playing in the IPL revealed that he will take up if given an opportunity. “I’d definitely put my hand up for it but I haven’t thought about it to be honest,” Finch told cricket.com.au. “It’s obviously a really difficult time and some changes will happen in the next couple of months with the England ODIs and the Dubai Tests (against Pakistan later this year). If the opportunity came up I’d love to take it but it’s not something that I’ve thought about,” he added. It will be a tough challenge without Steve Smith and David Warner but Finch remains upbeat and believes people will slot in eventually. “You are taking two of the best players in the world out of out of the side … the only way you can deal with it is to put a real positive spin on it,” he said. “It’s obviously really unfortunate what’s took place, but there’s going to be a couple of spots open up and I’ve got no doubt the guys who are next in line can come in and do a fantastic job. It will give whoever is there a real opportunity to put their hand up and make sure they’re at the forefront of selectors’ minds when it is time for that World Cup,” Finch concluded. Meanwhile, the 31-year-old Aaron Finch has captained Melbourne Renegades since the second edition of the KFC Big Bash League and has also led Victoria both first-class and one-day cricket. While Smith and Warner could be back for next year’s World Cup in a playing capacity, Australia will have to play without them for June’s five-ODI, one-T20I series against England, and a T20 tri-series in Zimbabwe to follow.